Yes, it’s a bike, but more than that. In road cycling,”peloton” refers to the main pack of riders at the front of a race. Riders in a peloton work together, conserve energy and perform better because of one another. And that’s the idea behind Peloton. Peloton has transformed the at-home fitness experience by creating a bike that merges high-design with modern technology to provide access to live streaming and on demand classes by top instructors. In other words, Peloton is bringing indoor cycling classes into homes across America, live and on-demand. Riders can choose from multiple classes a day – and compete with people across the world, via a global leaderboard, so you never have to ride alone again. They’ve even got an app for that. Peloton opened their flagship studio in Chelsea in 2014 to offer riders the opportunity to experience their favorite classes in-person. With a state of the art studio, the best instructors and content distribution, Peloton delivers an efficiently intense workout that motivates, while positively changing the mind and body. It’s been smooth riding since then, and their current retail locations include: Garden State Plaza and Short Hills Mall in New Jersey; The Westchester Mall in White Plains, New York; Main Street in East Hampton, New York; The Natick Mall in Boston, Massachusetts; Tysons Corner, VA; and Century City Mall in Los Angeles. 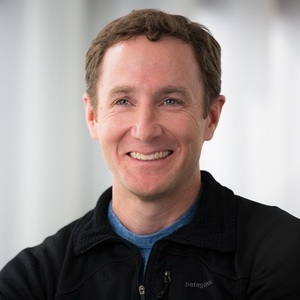 Founder and CEO John Foley tells us more about the company, which is uniquely positioned at the intersection of hardware, technology and content. We make a bike that allows people to take high-energy indoor cycling classes from the convenience of their own home, any time they want. We believe people want to work out more often. They want these workouts to be effective, efficient, and fun. And the more convenient the workout, the better. We believe that market is massive. The core of our business model is subscription digital content. Once a family gets a bike, they pay $39 per month for unlimited live and on-demand classes and unlimited accounts for everyone in their household who wants to ride. Your company is at the intersection of hardware and technology? Tell us how that works. I like to say that we are at the intersection of Fitness, Technology and Content. To my knowledge, there is no other company in the world doing more innovative things at this nexus. We will absolutely surpass the 10,000 bikes in the market milestone within six months. For a company that has only been in the market for just over a year, that is an impressive milestone IMO. It would be Lee Fixel at Tiger Global. He is the most visionary investor in global technology these days. Alas, I’m already in touch with him. 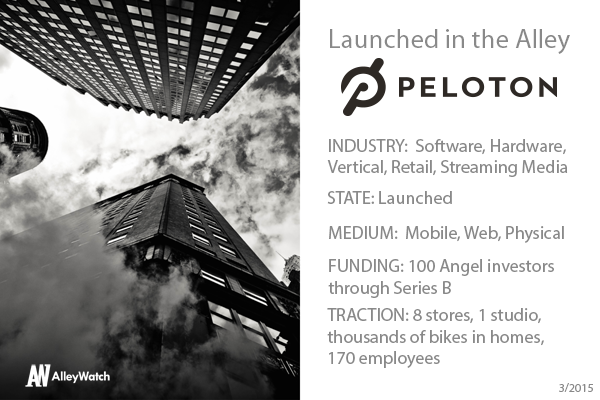 He is Peloton’s biggest investor. You’ve already raised $15M for this business, give us some pointers on the fundraising process for our audience that is looking to do a raise. We have already raised $32m and we’re looking to close our Series C in the next 45 days. We look forward to announcing that when the time comes. Where’s your favorite place to ride a bike in NYC? I bike up the Hudson River Park, over the GW Bridge, through the Palisades, and up the 9W to Nyack. If you’ve done it, you’ll know how gorgeous the whole trip is.